This Fantasia remote control operates the fan speed and light and is suitable for Viper Plus fans only. It operates your forward and reverse fan speeds and dims / switches the light on and off. 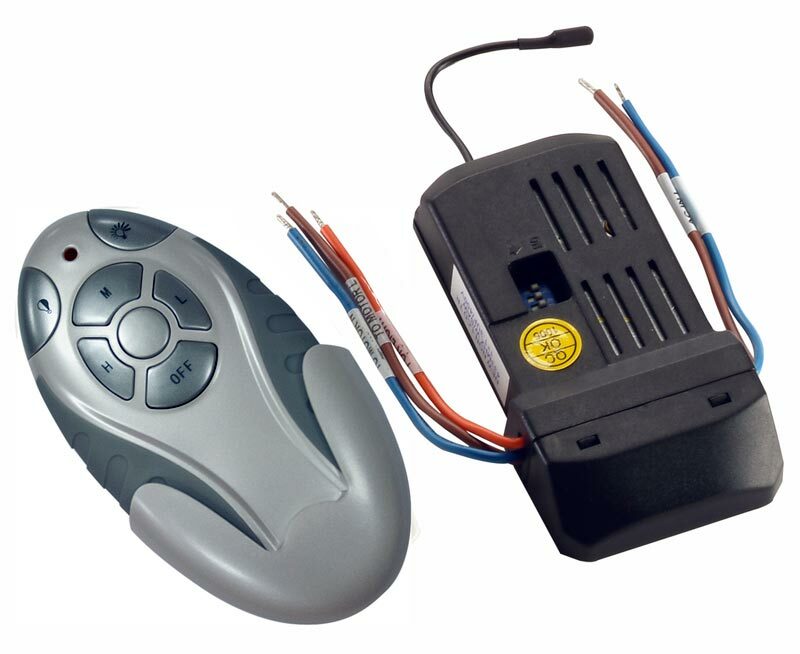 Consisting of a hand held remote and receiver that requires fitting inside the fan housing. Supplied with a wall mountable holder and battery. The receiver unit fits in ceiling fan bracket at ceiling level and is hidden by ceiling rose canopy. Important: This remote control is suitable for the Viper Plus fan range only. Requires twin and earth wiring (live, neutral and earth) and one control per fan. Please ensure that this is the correct remote for your fan prior to purchase. If you are unsure or require any guidance, please contact us so that we may assist you.